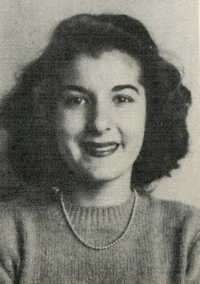 Obituary – Slade, Genevieve Lee (Willett) « Perry High School Alumni Association, Inc.
﻿Junior Play, ’44; Pres. of Home Room, ’44-’45; Student Council, ’42-’43; Perryscope Asst. Editor, ’45-’46; Red Hots, ’44-46; Jr. Natl. Honor Society; Library Staff, ’43-’44; Glee Club, ’42-’43; Teen Town Council, ’44-’46. Genevieve Lee Willett “Jennie” Slade, 86, beloved wife, mother, grandmother, matriarch, teacher, actress, genealogist, role model, and faithful Christian, was called home to be with her Lord on August 6, 2014. Jennie Slade was an incredibly strong person who overcame significant and persistent physical challenges to live a rich, productive, and happy life. She was born on February 23, 1928, in Enid, Oklahoma, to Ruth Fink Willett and Yeulin Van Sickle Willett. After graduating from Perry High School, she attended The American Academy of Dramatic Arts in New York City. She returned to her beloved Oklahoma to study drama at The University of Oklahoma and earned her Bachelor of Fine Arts, winning several acting awards in the process, including a prestigious Buffalo Head award. The Ponca City Playhouse honored her with a lifetime membership in recognition of her acting, directing and volunteering with that organization. She taught high school English. She lived in Oklahoma throughout her life and in Oklahoma City for the past 51 years. 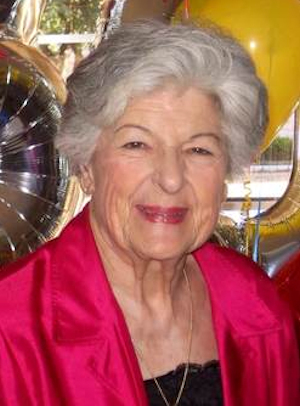 She was an avid fan of the Sooners, Cowboys, and Golden Hurricane, and rarely missed a televised Thunder game. Jennie joined the First Presbyterian Church of Oklahoma City in 1952 and demonstrated her faith by serving as a lay leader in many roles, including as Sunday School Teacher and Chair of Nurture. She was elected to become one of the congregation’s earliest female Elders and was later elected Clerk of the Session. She served the Indian Nations Presbytery as a Delegate, as Chair of Ministerial Relations and later as Moderator, visiting churches throughout the state. She was widely respected for her passionate commitment, forthright communication, and wisdom in all of her leadership roles. Jennie Slade loved her family immensely and doted on her husband, her three children, and her three grandchildren. She was committed to learn about her family roots, working for decades to trace and understand her ancestry and pass this knowledge along to the next generations. She was very proud of her grandfather, Henrick Gottlieb Fink, an early Oklahoma pioneer and Mayor of Edmond. She was an active participant and officer of numerous organizations, including Ladies Music Club of Oklahoma City, First Families of the Twin Territories, The 1889ers Society, Colonial Dames XVII Century, Daughters of American Colonists, Daughters of the American Revolution, U.S. Daughters of 1812, Edmond Genealogical Society, Oklahoma Genealogical Society, National Genealogical Society, Oklahoma Historical Society, and Oklahoma City Computer Club. She was preceded in death by her parents; her brother, Charles F. Willett; and her sister, Ruth Esther Lanza. Jennie Slade will be greatly missed by all who knew and loved her, especially her husband of 63 years, James Lee Slade, of OKC; daughters, Rebecca Ruth Teague, Edmond; and Jamie Marilyn Slade, OKC; son, Lee Willett Slade and his wife Nancy Meister Slade, Houston; granddaughters, Leah Susanne Slade, Colorado Springs; and Lauren Leigh Teague, Tulsa; and grandson, James Lee Slade and his wife Alicia Oldfather Slade, Frisco, Texas; as well as numerous nieces and nephews living throughout the United States. A celebration of her life will be held Monday, August 11 at 1 p.m. at First Presbyterian Church, Oklahoma City, with reception to follow. All who knew and loved her are invited to attend. In lieu of flowers, donations are requested to the First Presbyterian Church, Oklahoma City, OK; the Oklahoma Genealogical Society, P.O. Box 12986, Oklahoma City, OK 73157; or a charity of your choice.